One of the more popular themes in my topical stamps counter books is Christmas. In 1991, the Cayman Islands issued a set of four stamps (Scott #632-635) on November 6, in observance of the Christmas traditions and local flora. The set was designed by Jennifer Toombs, and printed by The House of Questa, Ltd. of England. · 5c – Angels, and the Angel’s Trumpet flower (Datura candida), which flowers at various times throughout the year. · 30c – Mary and Joseph en route to Bethlehem, and the shrub Allamanda cathartica. · 60c – Mary, Joseph and Christ Child, with Lignum Vitae (“Tree of Life”), Guaiacum officinale. Lovely stamps Craig. I have a few US FDC Christmas stamps. When I get time, I will post them here. The more the merrier (pun intended), kacyds. Thank you kindly for starting this thread and sharing your Christmas stamps. I do enjoy the fact that you tell us about the stamps you show. It is so much better than just posting an image. Keep it up. You're welcome, Gordon. I'm really old school and enjoy the stories behind stamps when they're available. I knew there was a reason why I thought I would like you. Issued on Oct. 2, 1978, this large (142 mm x 160 mm) Christmas Island souvenir sheet (Scott #88) presents the words and music of "The Song of Christmas," also known as "C-H-R-I-S-T-M-A-S."
Each stamp represents one letter in the word "Christmas," and corresponds to the appropriate line in the song. Wonder what primary school children came up with in early summer for this year's Christmas issue! My son didn't fancy entering. I was a local judge for a children's Christmas art contest one year in the '80s, Fairyfoot. That was fun, especially to see the picture on that year's Christmas seals. Yeehaw,,one of my favorite topics. Bring them on. And remember, ONLY 4 more months away too. In 1982, Lesotho – a former enclave within the Republic of South Africa that became an independent British Commonwealth state in 1966 – issued a Christmas-themed set of eight stamps and a souvenir sheet. The designs depicted scenes from Walt Disney’s The Twelve Days of Christmas, with the multi-colored souvenir sheet (Scott #389) completing the lyrics: (9) ladies dancing, (10) lords a-leaping, (11) pipers piping, and (12) drummers drumming. Mickey Mouse is holding the door open for them, and Minnie Mouse is ducking under the leaping lord. Post 'em, Bear! One never tires of Christmas stamps, no matter where they're from. I should have some Wallace and Gromit stamps somewhere..... and maybe even a couple of the pantomime issue (it's behind you!)... I'll dig them out at some point! Two Canadian stamps are considered to be the first-ever Christmas stamps issued by any country, although that was not their original purpose. Scott catalog lists them as Canada #85 and #86. Technically they are not two separate stamps, but the same stamp with different ocean shades. The stamp was issued in 1898, marking the start of Imperial Penny Postage throughout the British Empire. The inscription "XMAS 1898" was not part of the original design. The original issuance date was to be on the birthday of Queen Victoria's son, the Prince of Wales, later to become King Edward VII. The queen asked the British postmaster general when the penny postage rate would become effective. He replied "On the prince's birthday," referring to the Prince of Wales, who apparently wasn’t her favorite because she asked, "And what prince would that be?" The quick-thinking postmaster general replied "Why, the Prince of Peace, your majesty." So the release date was changed, and this stamp had the extra inscription added. 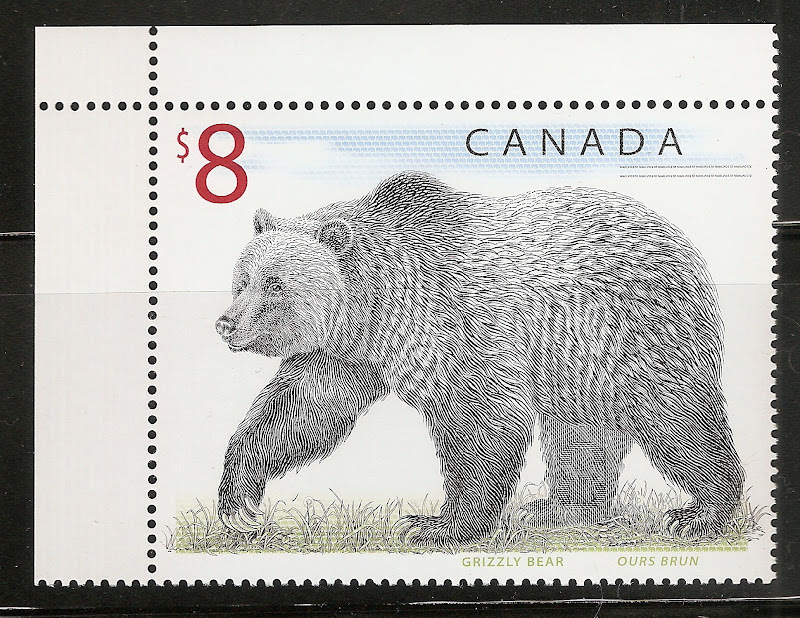 Although Scott lists the pale-lavender and ocean-blue varieties as separate stamps, they actually aren’t, as color variations were common in those days, and Canada hadn’t had any experience in producing multi-colored stamps before this. In actuality, there are four different ocean colors. If you’re a purist, you might not consider this a true Christmas stamp, as it actually celebrates penny postage and not Christmas.